Consumer lending is on the rise, and this is easy business for lenders to win when they are writing new home loans. They already have the borrower’s attention, and if the borrower is seeking additional cash, a home equity or personal loan would be easy to add to the mix. An even better reason for lenders to pay attention to this business is that fintech lenders who operate outside the traditional boundaries of banking, are currently writing the majority of unsecured personal loans. Having established brand reputations as quick, easy sources for loans, they are now setting their sights on the mortgage market as well. Today, three of the top 20 mortgage lenders are non-bank lenders, according to a study from US News & World Report. If these lenders continue to capture the majority of personal loan business, then they will have the borrower’s loyalty and be in the best position to attain future mortgage business. Non-bank lenders have created better, more streamlined processes to get these loans. If traditional mortgage lenders don’t follow suit, they could see their market share erode. However, for financial institutions, there are a number of compliance concerns to bear in mind. There are some basic compliance concerns the lender might have should they decide to pursue the consumer lending business. This post is not intended to be legal compliance advice, but rather to inform future discussions. Perhaps most significantly, from the compliance perspective, is company licensing and how this will affect loan documentation. There will likely be some overlap in the requirements for mortgage and consumer lending, but due diligence requires that the lender fully investigate the compliance requirements in this area. The lender’s actual licensing requirements are dependent upon the specific products offered by the lender and their financial institution type. These requirements may also impact the number and type of disclosure documents the lender is required to provide to borrowers. This may require a new integration between the document preparation vendor’s system and the lender’s loan origination system. For instance, in a loan secured by real estate, the lender will use the TILA/RESPA Integrated Disclosures. An unsecured consumer loan will likely only require the old Truth in Lending requirements. For some lenders, this may feel like going back in time. One area of concern will be the use of arbitration agreements, which are still used in the consumer lending space. While the CFPB has made public statements that suggest the Bureau is against the use of these agreements, Congress and the current Administration have not allowed the Bureau to take them off the table. Lenders should be mindful of what arbitration clauses they choose to include in their agreements. Finally, the application process will be different for unsecured loan products. The fact that the lender has permission to move forward on a mortgage loan may not be sufficient to justify beginning the work on a consumer loan. Naturally, lenders moving into this business will require the right support from qualified vendor partners. At Docutech, we have been gearing up for this business and stand ready to support lenders who want to capture more consumer loans. We offer a basic consumer loan template and can support lenders with due diligence research into the specific requirements for making these loans. Generally, the overall compliance burden for these loans is significantly less than what mortgage lenders are accustomed to. Also, the downside financial risk of a compliance violation in the consumer lending space is lower, due primarily to lower loan balances and fewer regulatory requirements. For many lenders moving deeper into the consumer lending space, they will need to become acquainted with consumer TILA requirements. They will also need to perform due diligence work and setup (which includes systems and partners) to move into this business space. But once that preparation has been completed, the lender should be able to capture this consumer lending business. Good support will continue to be important because rules will change over time. Continuing maintenance is required both for technological systems the lender uses and the loan programs it offers consumers. Having a good document preparation partner will go a long way to reduce the risk and the work involved in this business expansion. The benefit will be a greater share of wallet, which the most successful lenders are always pursuing. It deepens the relationship the company has with the consumer, and it increases the overall profitability and lifetime value of every customer. 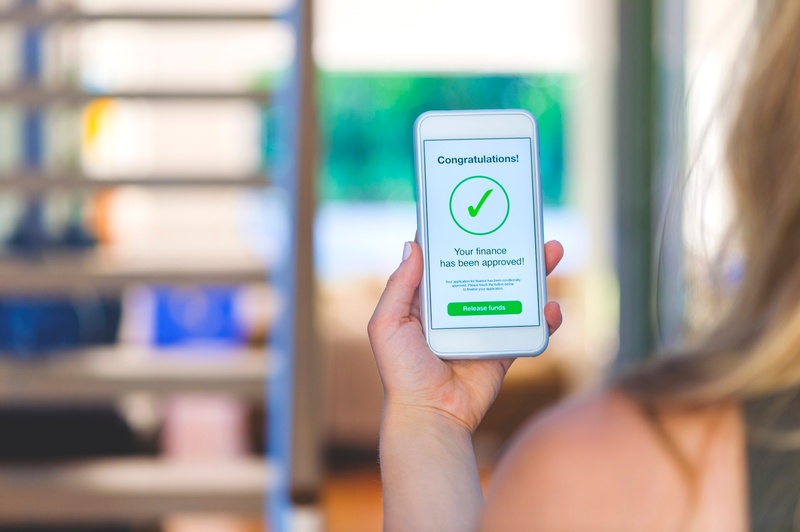 Pursuing the consumer lending business now may offer the additional benefit of protecting the lender’s mortgage business from fintech firms who will use the consumer lending relationship as an entry to the home loan business.